Soundproof windows costs will vary from $450 to $1150 installed (although DIY inserts can go for as little as $100). 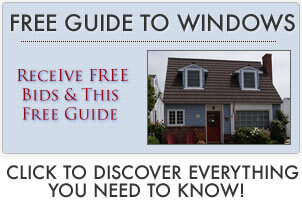 There is a huge price range here because there are so many options for soundproof windows. Inserts that fit behind the existing frame are cheap, while purchasing name-brand soundproof windows with high STC ratings can run you as much as $900 for the window alone. These will be stand alone inserts that fit behind the existing window. Many use a 1/4″ thick window pane that works with the existing pane to create space to dampen noise. This solution is cheap (installation can be done yourself), but obviosuly the existing window must be in OK shape to get the noise reduction homeowners want. The other downside is they don’t always look very nice and won’t necessarily match the existing frame color or style. However, it may be worth a try initially to see if it works (Lowes and Home Depot have very good return policies so it isn’t costly to try). Mid range pricing will range from $400 to $600 and will either be a top quality insert (wood frame, 1/2″ thick pane), which still goes behind the current window or a complete replacement window with a good, but not great STC window rating. High end options are an actual replacement window such as Milgard’s Quietline that replaces the existing window. These should have an STC rating of 42 or higher. They can have thicker double panes or even triple pane glass. The cost of window installation is very standard with these projects. There is nothing tricky or intricate about installing soundproof windows. An exact replacement may be as little as $50, while a full frame replacement might run towards the $250 per window opening. If you go to a local home improvement store, you can purchase the glass and laminate needed to soundproof and do it yourself – this is the least expensive option. This price range includes the product (either a high end insert or a well rated replacement) and installation. This pricing range includes the high end, highly rated replacement window and professional installation. Product price only, does not include installation. Pricing includes product and installation.